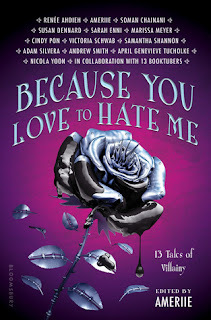 Christina Reads YA: New Year's Bookolutions! I was tagged by the lovely Ameriie to do this New Year's Bookolutions video, so here we go! 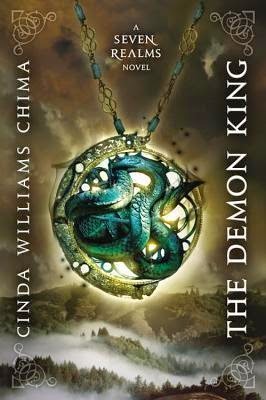 The Seven Realms series, with The Demon King as the first book, by Cinda Williams Chima. I LOVE high fantasy. I've heard such great things about this series from blogger friends, and almost every one of the books in the series has gotten a starred review from Kirkus. Kirkus Reviews is like my soul twin when it comes to reading experiences; about 90% of the time, I agree completely with their reviews. So, anyway, I'm really glad that all the books in the Seven Realms series are available. If I end up liking The Demon King, then I'll have a lot of fun binge-reading the rest of the series! 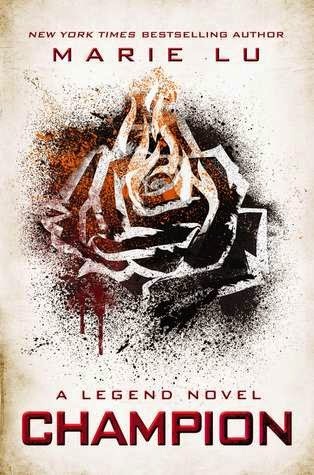 The Legend trilogy, with Champion as the last and final book, by Marie Lu. I've had Champion for over a year now, but when it was first released, I was scheduled to take the GRE the next day. Bad me started to read a little bit until I shook myself out of that stupor and STUDIED instead. Ever since then though I haven't gotten back to this series. I've always thought the Legend a solid YA dystopian trilogy, so I'm looking forward to Champion. 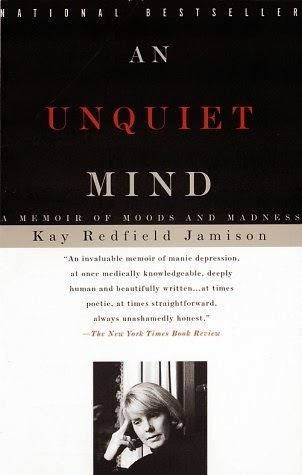 An Unquiet Mind by Kay Redfield Jamison. I was supposed to read this in my last year of college for my Biological Basis of Psychopathology class, but something came up and I only got to about page 70. Maybe this isn't really "year after year," but this book has been on my mind for so long! This is a memoir from Dr. Jamison about her bipolar disorder, and those 70 pages were really well written and insightful. Does it count if I say Harry Potter? I reread the series over break. But in all seriousness, I would say The Thief by Megan Whalen Turner. 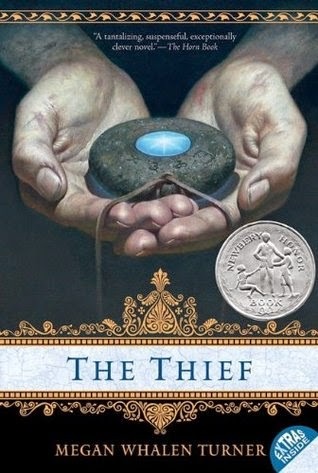 I read The Hero and the Crown by Robin McKinley with my friend, and in return she said that she would finally read The Thief if I read it with her. The Queen's Thief series is one of my all time favorites. It's a fantasy with hints of a Byzantine Greek inspired world. Lots of political intrigue, some romance, a great main character and side character cast. It gets better with each book, and I'm looking forward to diving back in. Ooh, this is a tough question. I guess that I'd say nonfiction books with relation to science concepts or fantasy and literary criticism. 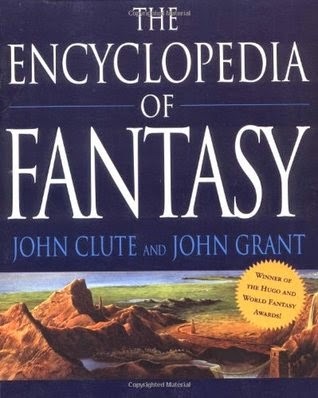 So I've got The Encyclopedia of Fantasy, some books about Arthurian legends, some Steven Pinker and Oliver Sacks books about the mind... We'll see. Another tough question! The first year I started my blog, I had a page where I kept track of how many books I'd read per month and then per year. First year it was over 140. My second year over 190. BAD CHRISTINA!! I was still in college. I needed to be doing school work, not READING. I don't know how many I read last year, and this year I probably won't keep track either, but I'll say anywhere between 50 and 75. I have a lot of other non bookish goals this year, so I've got to devote some time to them too! And my one non-bookish resolution... Oh gosh, make me pick only one, when I've written an entire post about these??? I guess that I would like to be more open with my family and friends, and to do things for them more often. Here's where I tell the story of my brother and the giant Hunger Games poster. It's not an entirely CONCRETE resolution, but just something I've been thinking about lately. So I'm probably supposed to tag people to continue this, but if y'all want to use the tag, you should! Connect booktube and blogging :) and talk about your bookolutions! How would you answer these questions? What are some of your book and non bookish resolutions? Let me know! I love this post! Let's see, the series I plan to start this year, finally, is The Lunar Chronicles by Marissa Meyer. Hmm, a series I plan to finish, let's say the last book in the Rot & Ruin series by Jonathan Maberry. A book that I've put off reading, year after year, well, that's a hard one because there are a lot of them, maybe A Child Called It, I've been meaning to read it, but just have never picked it up. A book or series that I want to re-read, well who had time for that? But if I have to pick one, I'd say the Splintered series by A.G. Howard. Genre I want to read more of, maybe contemporary YA? My goal last year was 125 books, and I ended up reading 138, so I set my goal this year for 135. And finally, my non-bookish goal, probably to start cooking at home more instead of eating out, in order to save some money. Right!! I keep forgetting about all the TBR books that will be finished this year, like the Lunar Chronicles. There are always so many series to keep track of! Ooh, I've never heard of A Child Called It. Ha, as for re-reads, I don't reread every word again, but it's magical for me to visit a fave - I am about to check out your Ensnared review so I'm glad to know it sounds positive, ha. Good luck with the contemporary YA goal and cooking at home! I should add that to my resolutions list too :). My sister and I loved The Seven Realms series! Every book in the series just gets better and better as you go :D If you're not hooked by the first book, you will be by the second! I've heard that too! When I looked at the Kirkus reviews, they basically said "readers will look forward to the second book" & the first was enjoyable, and the 2nd, the 3rd - I think they'd gotten starred reviews. I think, besides the 1st, there was only 1 that didn't :O. I'm so looking forward to it - maybe I'll be able to discuss with you and your sister later? Thanks so much for your awesome comment on my blog! (I've replied, by the way!) For the number of books you want to read, I feel the same. Last year, I wanted to read about 120 but this year (after seeing how hard it was last year...) I decided to go with 50 which I think is a pretty good number for me. One of my resolutions is to be a bit more organized and post a lot more on my blog since the number of posts I posted last year was quite pathetic! Thanks! I hope you enjoy the books you get to read in 2015 as well :). Thanks, Erika! Right??? It gets so hard to read so many books without skimping on something else. 50 books is a nice goal without overexerting ourselves :D. I'm also looking to be more organized on my blog as well, so here's to both of us being successful with our reading & blogging goals :)!